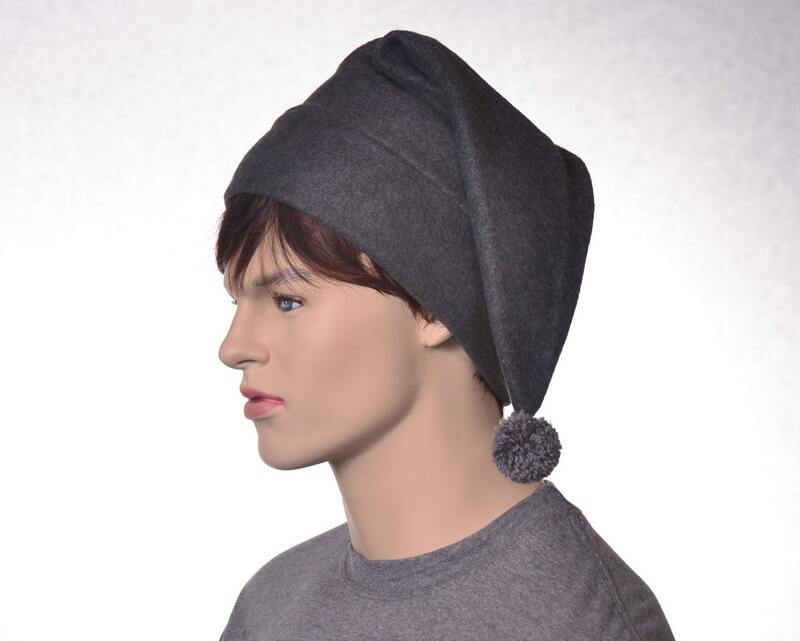 Elf hat in dark grey with dark grey pompom. 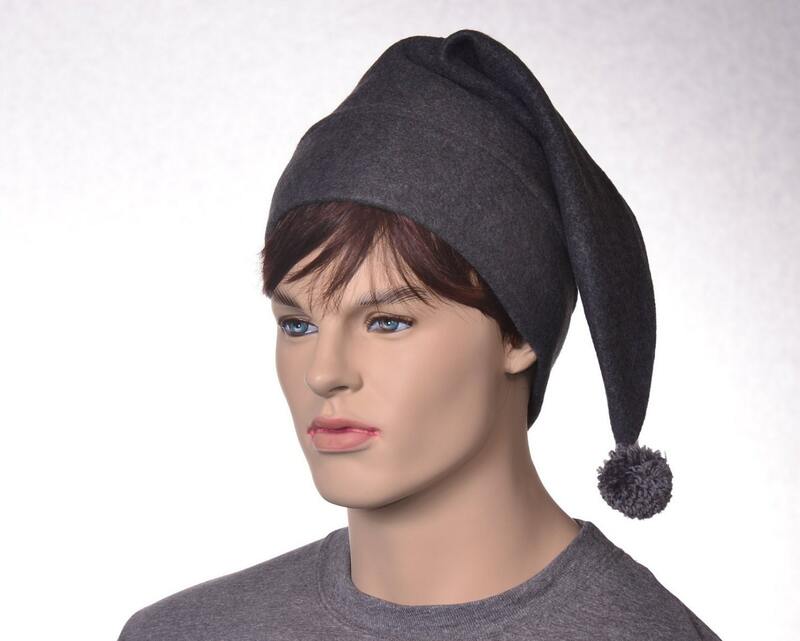 This stocking cap style elf cap measures about 19 inches long. 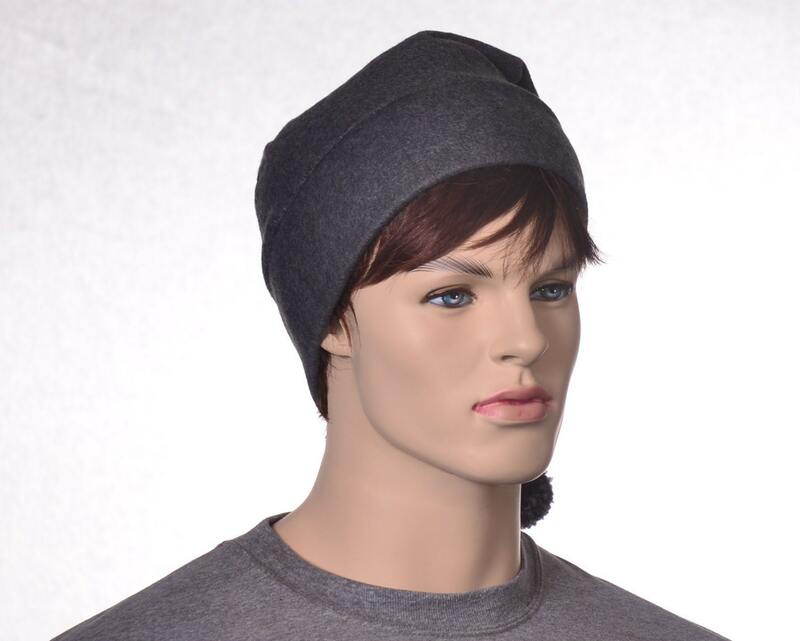 Made from soft fleece. 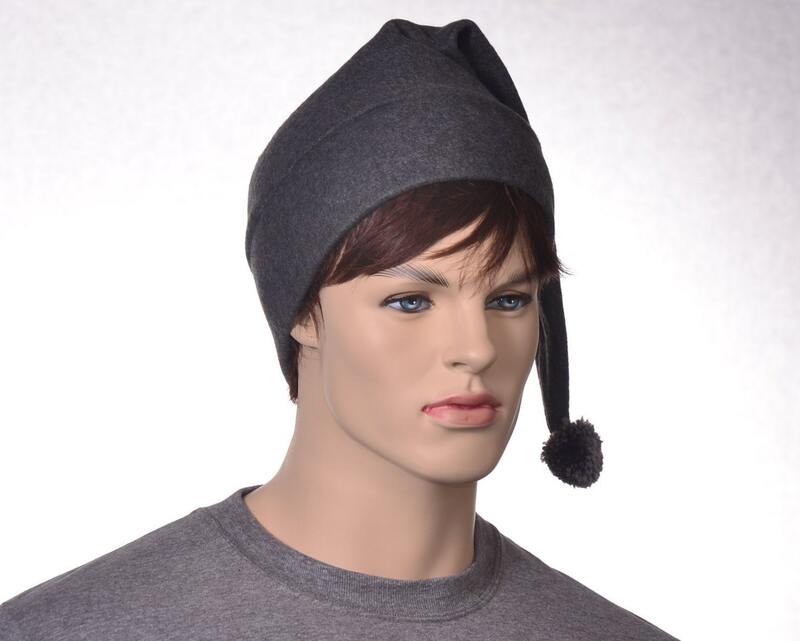 This is an adults size fitting 22 to 24 inch heads. Made and ready for shipment. 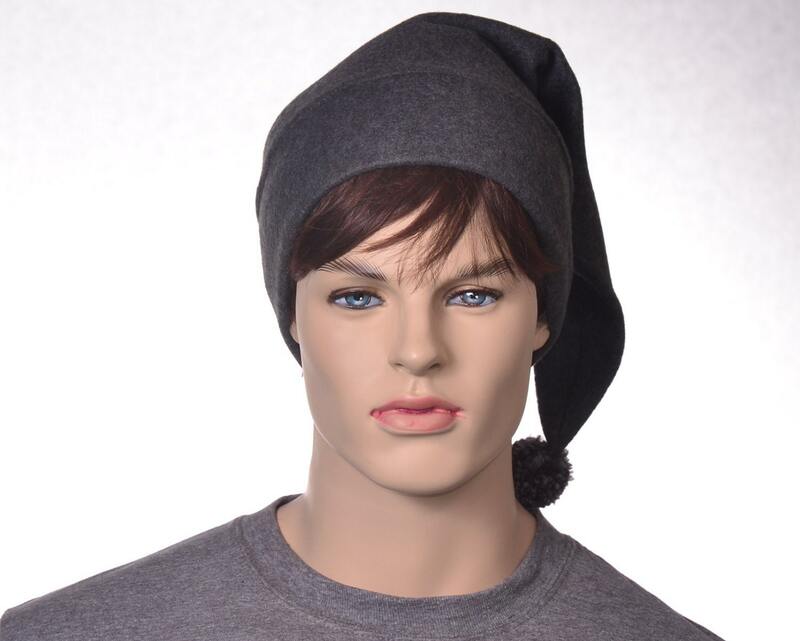 Perfect for finishing off your dark elf or other costume or just for everyday wear.